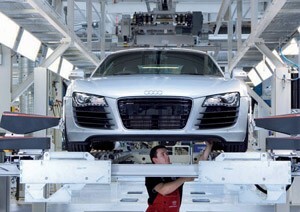 Every automaker is incorporating eco-friendly technologies into their production plans and Audi is no different. According to a report from CAR, the German automaker will use the "E" designation for its environmentally friendly products, apparently believing that the letter "A" isn't green enough. Included in the outlook is the E1, which is expected to be a small, all-electric city car based on the underpinnings of the Volkswagen up! concept. Next in the lineup ladder is the E2, a small sportscar featuring both gas and diesel engines with three-cylinders and 75 hp that will share a chassis with the Volkswagen Concept Bluesport from the Detroit Auto Show. 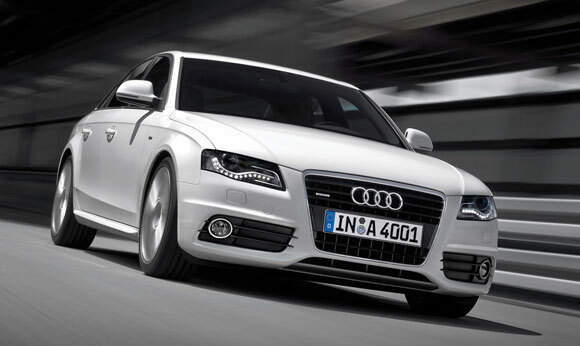 An E3 is also in the works and will reportedly be based on the aluminum-intensive architecture of the upcoming 2011 A3, and this same chassis could also spawn a hybrid MPV called the E4. Lastly, an E5 is possible and would combine all of Audi's fuel-saving technologies into one sportscar platform for 2014. For better or worse, the automotive industry has had its share of partnerships with fashion labels. Eddie Bauer edition Ford SUVs. Nautica edition Mercury minivans. Levi's edition AMCs. Diesel edition Fiats. You get the point. 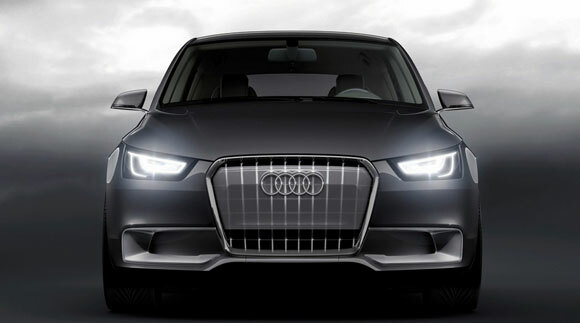 The latest collaboration brings together German automaker Audi and Italian fashion house Prada. If you're thinking this sounds familiar, that's because just a couple of months ago we reported that Prada had gotten into bed (a very stylish bed, we're sure) with Hyundai and its new Genesis luxury sedan. 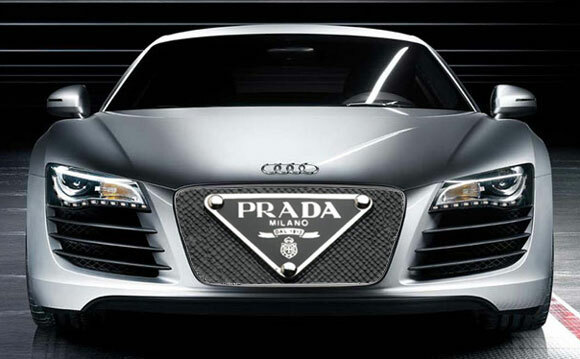 But apparently Prada has had a change of heart and is now teaming up with Audi. No word yet on where the partnership will take them, beyond joint sponsorship of a sailing yacht, but considering that Audi subsidiary Lamborghini's collaboration with Versace produced special edition Murcielagos and Bugatti a special-edition Veyron with Hermes, we're not discounting anything. The Giants and the Patriots may be disappointed not to have made it back to the Super Bowl this year, but at least Audi will be back again. The German automaker aired a spot during last year's NFL championship game depicting the R8 supercar as a cameo in the original Godfather movie. During this year's game, however, Audi's commercial will feature action movie star Jason Statham behind the wheel of the A6. Statham has carved out a niche for himself in Hollywood as the perennial getaway driver, and while he's driven all sorts of getaway vehicles in various films, the BMW he drove in the first Transporter movie was replaced by an Audi for the subsequent sequels. In the Super Bowl commercial, Statham will reportedly try getting away in a number of different luxury sedans before settling on a supercharged A6. We'll see if he manages to escape when the commercial airs on February 1, alongside Danica Patrick's spot for GoDaddy.com. Stop us if you've heard this one before. Another automaker is slowing down production in the face of slowing sales. This time, though, it's Audi that's making the announcement... the same Audi that posted impressive sales of over a million automobiles in 2008, making last year Audi's best ever despite the overall decline of the auto market. It seems that the German automaker realizes that all good things must come to an end, however, as it plans to schedule six days of reduced hours at its Ingolstadt and Neckarsulm plants. While this affects some 25,000 workers, it effectively safeguards their jobs in the process and preserves an existing agreement that between Audi and its labor union, called the Zukunft Audi (Future of Audi), which prohibits layoffs in the face of declining sales until 2011. VIDEO: Audi releases trailer for Super Bowl commercial, making of the "Chase"
While the Detroit 3 have all taken a pass on advertising during this year's Super Bowl, Hyundai and Audi have stepped in to fill the hole left by the domestics. We still haven't seen the Audi commercial in its final form, but the automaker has released a teaser of the commercial, along with a "making of" video that documents/promotes the ad. Judging from what little is said in both videos, Audi is planning to portray it's rivals, Mercedes, BMW and Lexus as the champions of the 70s, 80s and 90s, respectively. According to Scott Keogh, Audi's marketing boss, the message is "today and in the future, it's Audi's time." Will the spot help Audi sell more cars? Who knows? But it certainly has plenty of entertainment potential. Hit the jump to check out both videos. Who needs snow? Audi says just use what you've got. 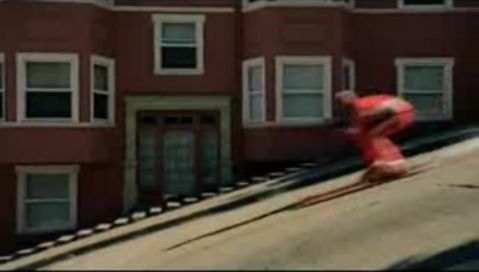 In its newest Audi S4 ad for the European marke, the German brands shows a downhill skier doing his thing through the streets of San Francisco, with nary a snowflake in sight. Appropriately titled "San Francisco Abfahrtski! ", the video features some cool effects and presumably shows you the visceral thrills that you'll experience while piloting your new supercharged S4. Follow the jump to see the spot for yourself, and pay close attention for the parking meter slalom and the cable car dodge. 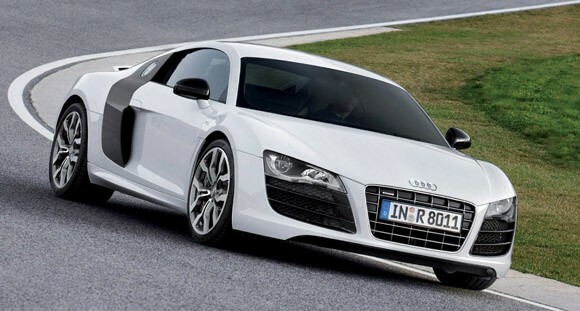 The Audi R8 5.2 FSI quattro is ready to assume the mantle of "it" car for 2009. You probably still remember all the tasty details from our Detroit Auto Show coverage, but here's a brief refresher, just in case. The latest, greatest R8 packs Ingolstadt's 5.2L V10 under its glass engine cover. That lump, in this application, punches out 525 horsepower and 391 lb-ft of torque, which should let the new, super-duper R8 sniff around the 200-mph barrier. We've had fond things to say about this V10 in both its lesser and more extreme forms. Will it be "just right" in the R8? We can't wait to find out firsthand. In the meantime, feast your eyes on a slew of new photographs just released by Audi. They're all in the gallery below. Audi may have chosen the Detroit Auto Show to launch its new R8 5.2 FSI quattro, but that doesn't mean that the highly anticipated V10 version of the supercar is speeding towards Audi dealerships in the U.S. just yet. The 518hp supercar is slated to go on sale in Germany in the second quarter of this year - still a couple of months away - with a sticker price of 142,400 Euros (approximately $180k), but it may be a while before it arrives Stateside. According to the guys over at Inside Line, Audi hasn't decided when - or for that matter, if - the V10 R8 will reach the United States, but suggest its arrival won't come within the next year. So if you were already mailing your check off to Audi of America, you may have to make do with the existing V8-powered R8 or pony up for its big brother, the Lamborghini Gallardo LP560-4. As we've discovered, there are worse fates. Hit the jump to view a two-and-a-half minute video of the Audi R8 5.2 FSI quattro taking to the track. 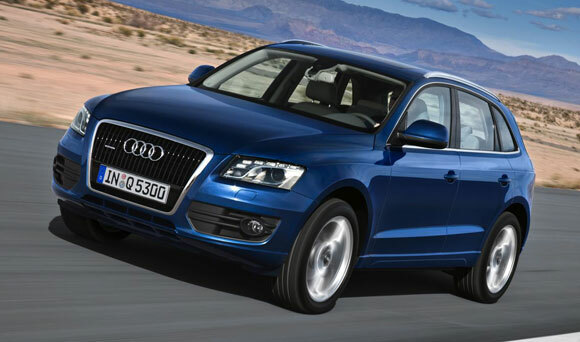 Audi has finally announced U.S. pricing for its new Q5 mid-sized crossover. For America, there is currently only one powertrain combination available, a 3.2-liter FSI V6 with quattro all-wheel drive, and that comes with a starting price of $37,200. Just as Starbucks calls a small coffee "Tall", Audi's entry level Q5 is labeled as Premium. From there, you can go to Premium Plus specification or Prestige at $41,500 and a lofty $48,200 respectively. Add the $825 delivery charge, taxes, and other ancillary fees, and it should be easy to go well north of 50 grand. The Q5 comes standard with Audi's third generation MMI system that adds three-dimensional rendering to the nav display, as well as a 4,400-pound towing capacity. Q5s are expected to start arriving at dealers next week and the vehicle officially goes on sale in March. Official press release after the jump. Audi has announced that its S tronic transmission will finally move from the new S4 down to the A4 sedan and Avant, along with the A5 coupe in the UK. The dual-clutch gearbox will be available on all three models equipped with the 2.0-liter TFSI Quattro drivetrain, providing 0.2-second shifts and shaving 0.1-seconds from the A4's 0-62 miles-per-hour time (6.5 versus 6.6 with a manual) and 0.3-seconds from the A5's sprint to the magic mark (6.2 versus 6.5 with the manual). Unfortunately, we haven't been able to get an Audi spokesperson to confirm when, or if, the S tronic option will be available on models bound for the States. So for the time being, new A4 owners in the U.S. are forced to choose between the six-speed manual or the six-speed Tiptronic gearbox. Hit the jump for pricing and the rest of the details.